The Library, a scholarly research center, contains rare books, educational resources, and archival material. 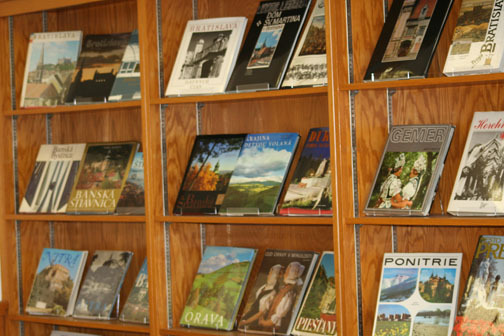 Numerous pictorial books, exhibiting every section of Slovakia are on display. Current periodicals published in Slovakia are available to keep visitors updated. 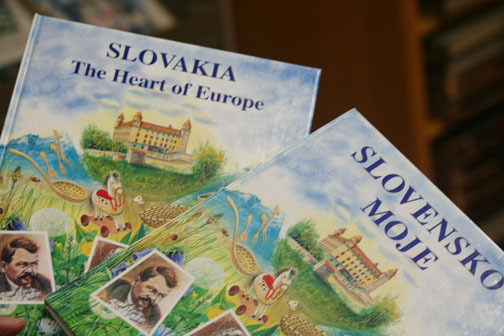 A collection of recent books related to Slovak interests is on display. Rare Bibles, devotional prayer books, extant and current hymnals attract the interest of visitors. Bi-lingual newspapers and/or magazines published by fraternal societies are sent regularly to the Library. Bound copies of the fraternal newspapers and magazines date back as far as 1892. 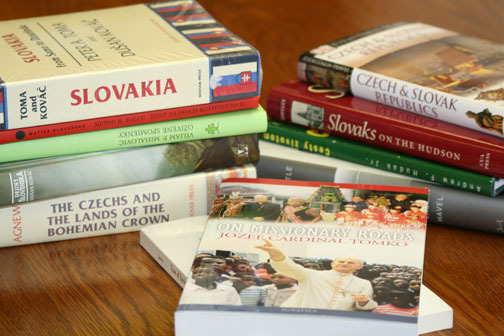 Dobry Pastier/The Good Shepherd, the annual published by the Slovak Catholic Federation, contains a wealth of information for those interested in topics about Slovaks here and abroad. Children’s literature is featured in a special section of the Library. 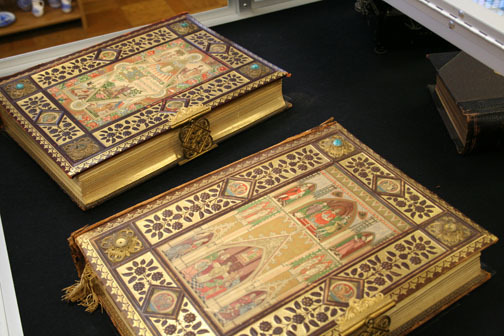 Memorial books (Pamätnica) which recount the history of Slovak churches and organizations are a treasure for the Library and its researchers. A variety of recipe books feature ethnic menus and traditional foods. Audio tapes and CD’s of Church music as well as folk tunes are available. Rosary tapes, Christmas, Lenten, and Easter music are also available for devotional purposes. Web Master - Sr. Susan Pontz, SS.C.M.